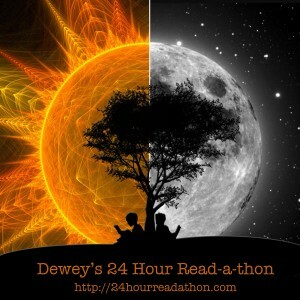 ← Dewey’s 24 Hour Read a Thon – Getting Started! Whew! Great first hour! I’m going to try and keep these short and sweet. I missed mentioning in the first post that I am reading for charity and I jut ran across a few other people so far that are as well and I’m so excited – Marissa Meyer and the Geeky Blogger. All my details are on my other website, but today I’m reading for the National MS Society.